An Atherton Tablelands veterinary clinic started operation in Malanda in 1952, and was originally operated as a branch practice from Townsville (it was the only veterinary clinic north of Townsville for many years). Tableland Veterinary Service officially began operation in 1977. Bill Tranter and Ian Hosie began their current partnership in 1978 and have worked together as business partners for over 40 years. More recently, directors Frank Condon (2002), Tamara Olley-Dredge (2011), Mick Ruppin (2012), Ryan Cockrem (2012), Stephanie Williams (2017) and John Hosie (2017) have joined the partnership. Over 40 years the practice has grown to include six clinics in Weipa, Atherton, Ravenshoe, Charters Towers, Malanda and Gordonvale. Although the practice has grown and now includes up to 60 staff, spread over 2000 kms, we are still a close ‘family’ and enjoy the intimacy of a smaller clinic. Since 1977 more than fifty veterinarians have worked in the practice supported over the years by many dedicated nurses, receptionists, office staff and technicians. Hundreds of veterinary students have also undertaken part of their veterinary training within the practice.In recent years, TVS has become intimately involved in the training of veterinary students from James Cook University. This has helped our veterinarians to develop their skills and knowledge and makes TVS a unique centre of excellence for clients and their animals. Bill was born on the Atherton Tablelands and grew up on a dairy farm at Millaa Millaa. He studied Veterinary Science at the University of Queensland and was a university medalist. Bill started at TVS in 1976 as a new graduate and became a partner in the practice in 1977. 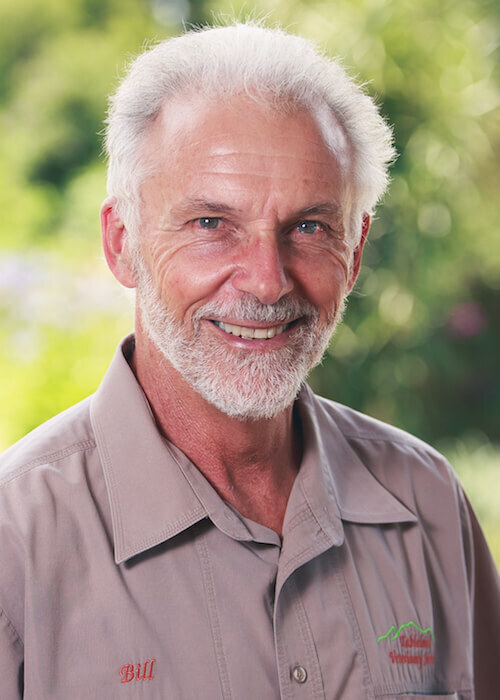 Over many years Bill has become internationally recognized as a dairy veterinarian and has lectured in New Zealand, the United States, and Vietnam. He is Head of the Veterinary School and a Professor at James Cook University, where he also lectures regularly while still providing veterinary clinical services to dairies. His heart is here on the Atherton Tablelands and on local dairy farms. He is a thorough and dedicated veterinarian, whether he is treating a dairy cow or a bandicoot. Ian was born on the Atherton Tablelands and grew up in Tarzali, where he still runs beef cattle. He completed a Bachelor of Rural Technology at Gatton and subsequently studied Veterinary Science at the University of Queensland. Ian became a partner of TVS in 1978 and has worked with Bill for over 35 years. The partnership between Bill and Ian has been the backbone of the practice during this time. There would be few longer-lived or more stable partnerships in veterinary practice. 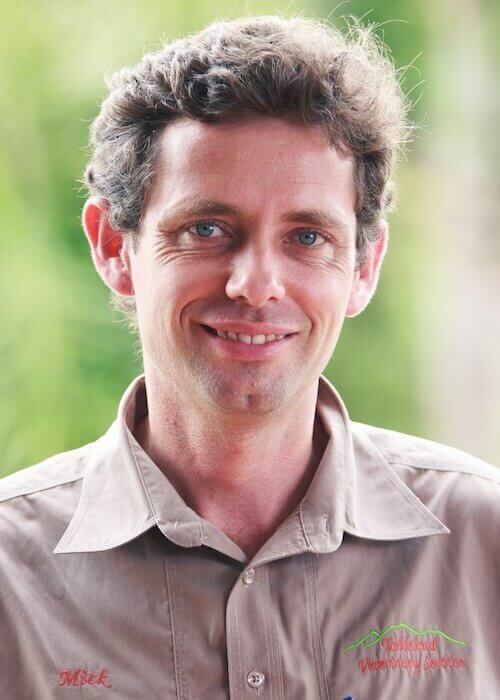 Ian is an adjunct senior lecturer at James Cook University, and also runs a series of bush clinics in the remoter areas of North Queensland. Ian is a calm and caring veterinarian, and is confident treating all species. He has established an extremely loyal and dedicated client base, particularly on extensive beef properties and is experienced and skilled in bull testing. 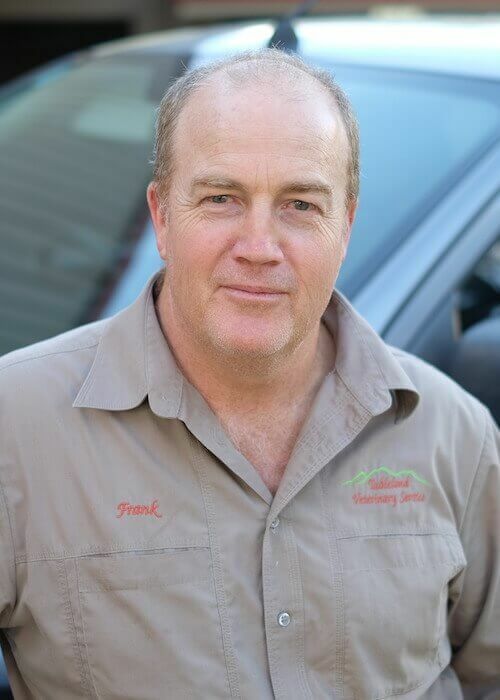 Frank was born in Ayr (North Queensland) and grew up on a sheep and cattle property at Windorah in Western Qld and later at Glen Innes on the New England Tableland in NSW. After graduating, he practiced initially in Glen Innes for two years where he developed a desire to work with horses. In 2001 he joined TVS and became a partner in 2002. Frank is an adjunct senior lecturer at James Cook University. 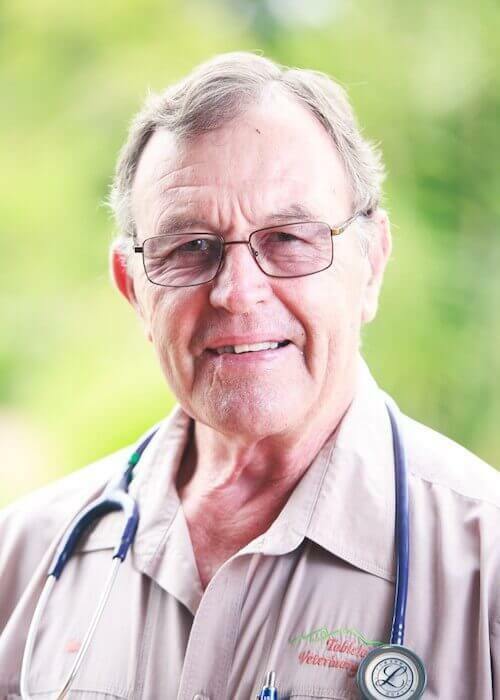 He is a past President of Equine Veterinarians Australia, and has completed extra study in Equine Surgery. He is a thorough and determined veterinarian, happy to treat all species. He is experienced in all aspects of equine reproduction and dentistry and has a particular interest in equine lameness and surgery. Tamara was born in Lismore NSW. While growing up she spent time on her family’s beef and horse property located in the area. She studied a Bachelor of Applied Science – Animal Studies (Animal Production) with an Honours year at University of Queensland, Gatton. She then went on and studied Veterinary Surgery and Medicine at Murdoch University in Perth and graduated in 2006. While she was at university in Perth, Tamara worked in the live export industry loading cattle and sheep boats in Freemantle and processing beef cattle all over South West, Western Australia. Tamara started as a new graduate at Tableland Veterinary Service in January 2007 and became a partner in 2011. She is happiest providing veterinary services to a wide variety of animal species and believes that the variety keeps her on her toes. She has developed a large amount of experience treating many species. She also plays a role in teaching James Cook University veterinary students. Grew up in Malanda before studying veterinary science and graduating from the University of Queensland. He worked in NSW and in the United Kingdom in mixed practice for many years before returning to the Tablelands to work at Tableland Veterinary Service. Ryan is a mixed veterinarian and genuinely likes the variety of working with many species, often performing dairy cattle work in the morning, artificial insemination in a mare after lunch and some small animal surgery later in the day! 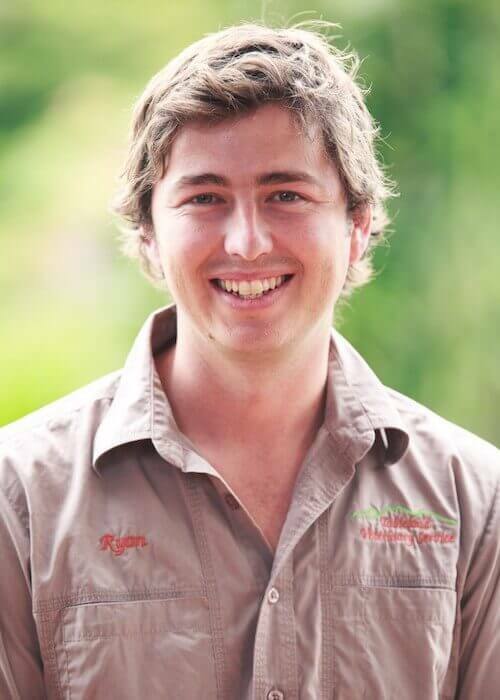 Ryan has also taken on the responsibilities of overseeing the dairy section of Tableland Veterinary Service. He is also leading the redevelopment of the veterinary service at our Weipa facility. 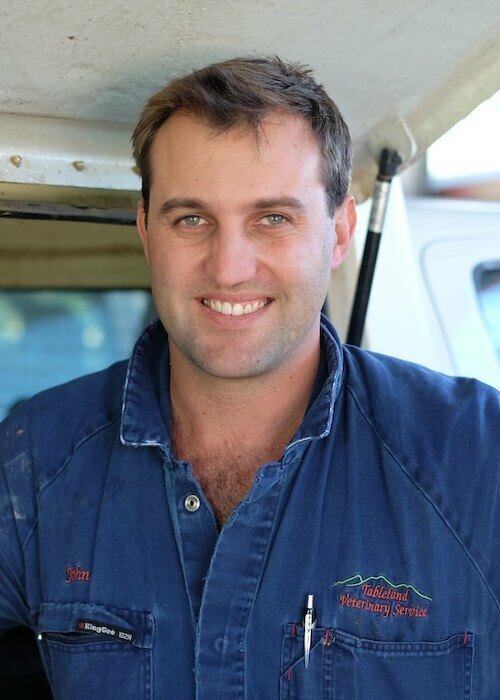 Mick graduated from the University of Sydney and started work at Tableland Veterinary Service in 2007. He took a two-year break from TVS in 2010-2011 and completed an Equine Internship at the University of Sydney and travelled to England to work in mixed practice. During other short breaks he has worked for the NSW DPI as part of the Equine Influenza outbreak, as Raceday Vet at Royal Randwick Racecourse and at a veterinary emergency centre. He returned to Tableland Veterinary Service in 2012. Mick is interested all aspects of veterinary practice and enjoys the challenge of treating all creatures great and small. He has a special interest in horses and gained his Membership of the Australian and New Zealand College of Veterinary Scientists in Equine Surgery in 2012 and Equine Medicine in 2013. 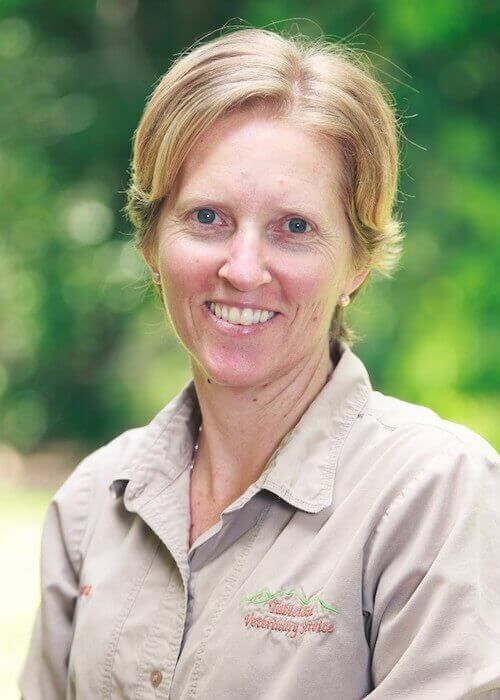 Steph grew up in Gordonvale and worked as a vet nurse at Townsville Veterinary Clinic while studying at James Cook University, Townsville.. After graduating from Veterinary school in 2010, Steph took a mixed role in Dalby, Queensland where she enjoyed treating all different species. 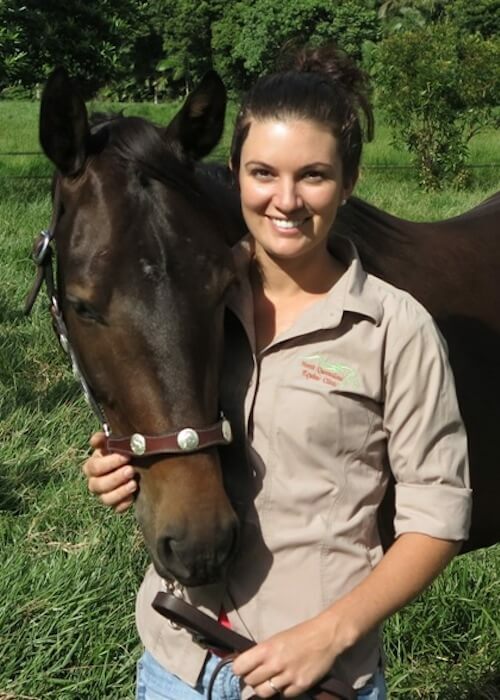 She also worked at the specialist equine clinic in Townsville in 2012 and 2015, with the most recent stint enabling her to partake in an internship role and successfully pass Australian College of Veterinary Scientists membership exams in Equine medicine. Steph became a partner in 2017 and runs our Gordonvale/Edmonton surgery as well as co-manages our Tableland Veterinary Service’s equine section. She has continued post graduate education in Equine Veterinary Dentistry (through EVDS) and Equine Imaging (through Massey university), and is the attending race day veterinarian for race meets in Innisfail and Gordonvale. She enjoys mentoring up and coming undergraduates and recent graduate veterinarians and genuinely enjoys all aspects of equine veterinary practice. When Steph has spare time, she enjoys hanging out with her husband, Jared, her horses and menagerie of other animals. John, like his father Ian, grew up on the Atherton Tablelands, and has always had a keen interest in becoming a veterinarian. He was also part of the inaugural class of veterinary students at James cook university Graduated in 2010. John spent his first year at mixed practice in Gympie, gaining mixed animal experience, and especially valuable experience in dairy cattle veterinary practice, before returning home to the Atherton Tablelands in 2012. John became a partner in 2017. His special interests are in bovine medicine and reproduction and equine reproduction, and John oversees the reproduction section of Tableland Veterinary Service. John is also heavily involved in training undergraduate veterinary students John obtained his pilot’s license in 2013 and now visits many cattle properties on a regular basis, providing beef cattle herd management and reproduction services as well as equine veterinary services. John’s calm disposition, extensive knowledge and experience, allow him to get on well with all clients and provide valuable veterinary services to all species.